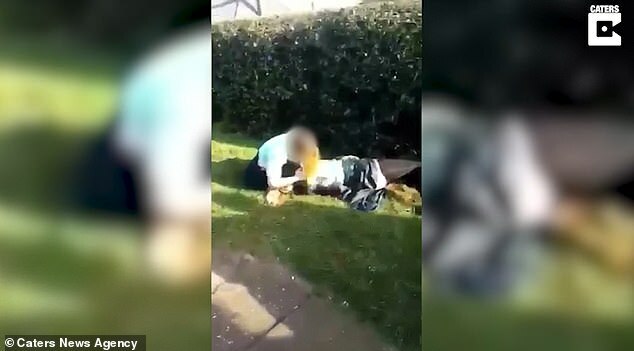 A mother has shared shocking video footage that appears to show her 12-year-old girl being viciously attacked by a school bully who pins her to the ground while others film it and shout encouragement. 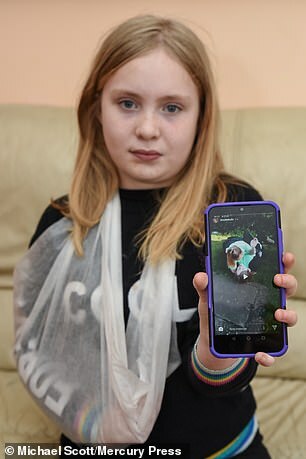 Sophie Baker claims her daughter Naomi Bellamy had her arm in a sling for two weeks after suffering tissue damage and had to have a CT scan after she was set upon by the girl while walking home from school on March 26. 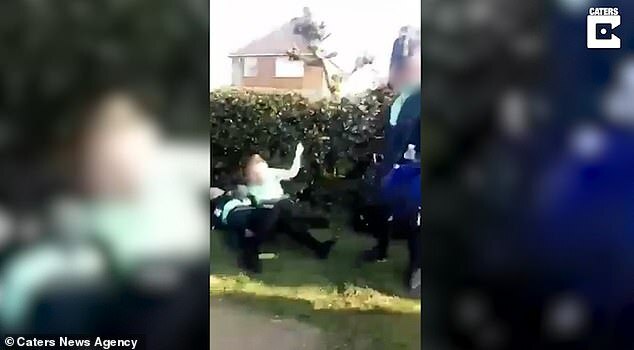 In the video a girl appears to push Naomi, a year seven pupil at Walton Academy in Grantham, Lincolnshire, to the ground before getting her in a headlock and slapping her. In the video a girl appears to push Naomi to the ground before getting her in a headlock and slapping her. 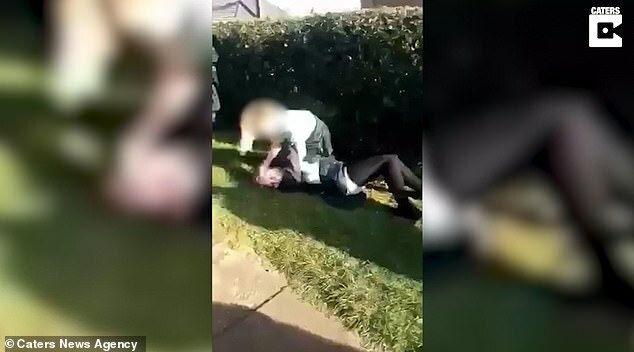 Other footage appears to show the bully pulling Naomi's head back by her ponytail while other pupils laugh and shout 'f***ing have her'. Heartbroken Sophie, 37, revealed she broke down in tears when she found out the footage had been shared online. Sophie, from Grantham, Lincolnshire, said: 'I just sat and cried when I saw it. I was so angry that a recording of my daughter being bullied was being shared and I felt so guilty that I hadn't been there for her. 'While I was sat in the hospital waiting room my phone started pinging and I was getting all of these messages from people asking if I'd seen the video. 'Watching it, you can see her head come off the ground like a bouncing ball. The girl pulls her down by her hair and her head actually hits the floor. Then in another video she's leaning over her and punching her in the back. She really went for her. 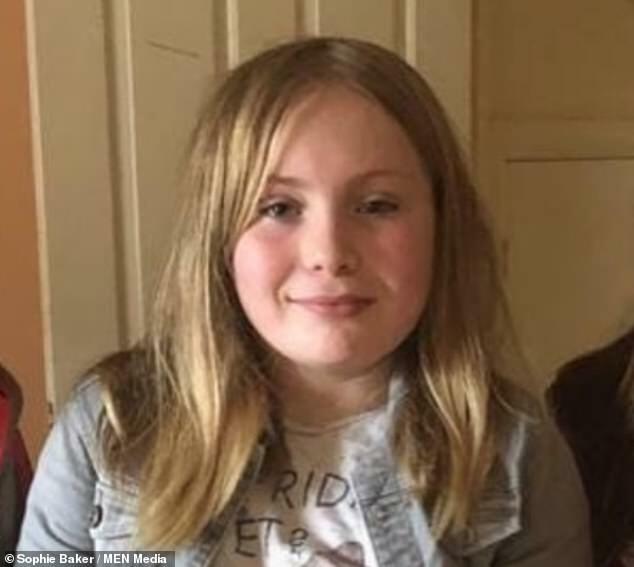 Sophie said she got a phone call from the school telling her her daughter had been involved in an incident and was now on her way home. The mother-of-four said: 'Mother's instinct kicked in. I panicked and headed out to meet her. I saw her and she was a mess. She was crying. Her hair was all pulled out, she was holding onto her wrist and hobbling. She was shaking. 'It was horrible. I felt helpless because I hadn't been there. I took her to the hospital and we were there for six hours. She'd suffered tissue damage to her wrist and ankle. She had her arm in a sling for two weeks. 'She told me the girl had been taking her food at school. Her dad has been putting £10 a week on her card for drinks and sweets and stuff and this girl was taking it off her. 'She's moving schools. That's how bad it's got. My son was meant to be starting there in year seven but I'm also trying to get him moved because I'm so worried. 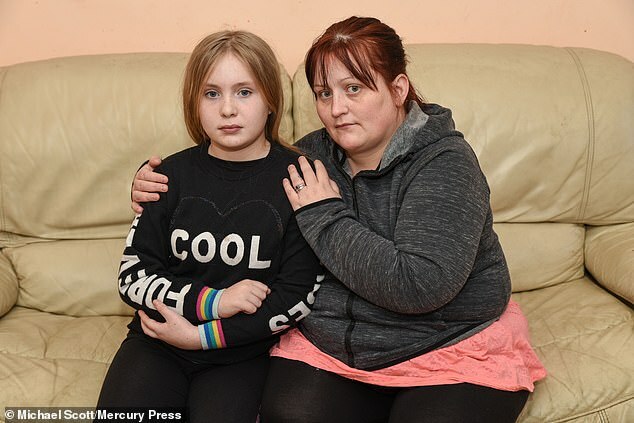 Full-time-mum Sophie said the incident has knocked her daughter's confidence and even caused her to have a panic attack while out shopping. Sophie said: 'A few days later she was out shopping and was taken to hospital after fainting due to the stress and anxiety. They even carried out a CT scan because she hadn't had one done straight after the incident. Thankfully it came back clear. Sophie and partner joiner Paul Bellamy, 49, have reported the incident to the police and shared the video to raise awareness. Sophie said: 'I took the decision to share the video because I want people to realise the impact bullying has. I was bullied myself as a child and ended up missing a lot of school. It has a lasting impact. Will Teece, head of school at Walton Academy, said: 'Whilst I cannot comment on the detail, I do wish to reassure our community that the matter has been taken very seriously. 'In line with our behaviour policy, we have investigated the allegation, and appropriate, firm action has been taken, including working closely with the police. 'Our expectations for behaviour are very clear and are supported by robust systems and sanctions. 'The actions of a small number of individuals have shocked us and are not representative of our academy as a whole.